The now abandoned, or ‘dead’, Great Mall of the Great Plains stands as a 783,010 sq ft shrine to consumer excess and the idiosyncrasies of 90’s design. Opened in 1997, the mall was the largest outlet mall in the state of Kansas. 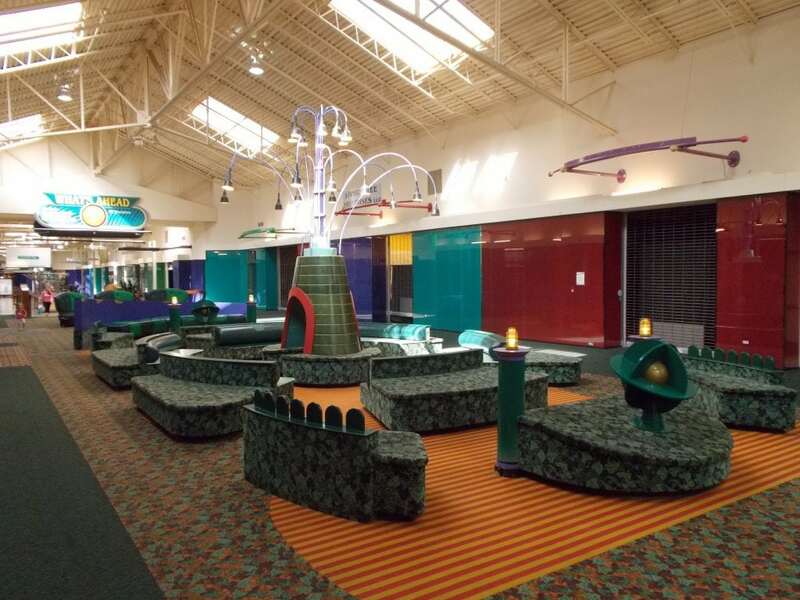 It opened with 150 stores, a family entertainment center called Jeepers, later to become Zonkers, a food court, and a Dickinson movie theatre. 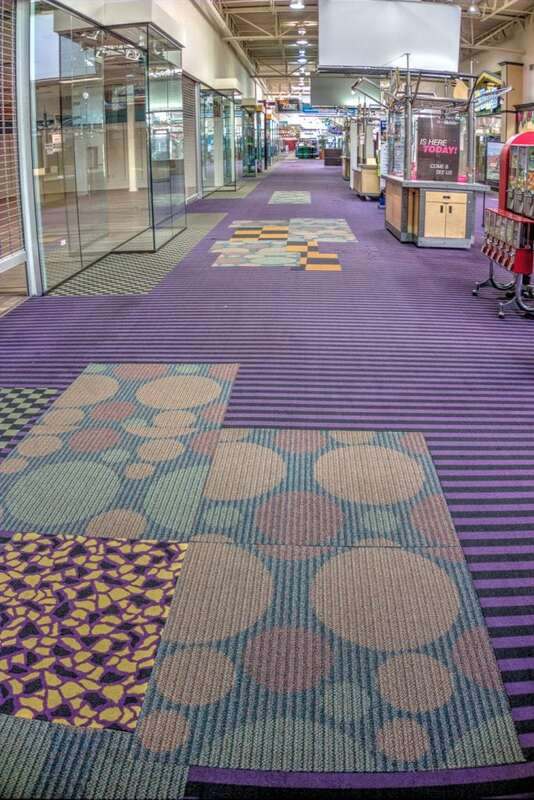 In a photo series posted to Reddit and hosted at Imgur, user Dragonsreach documented the malls retro stylings, describing the defunct Ohio mall as ‘pretty much the 80s and 90s objectified”. Despite a highly successful opening which attracted more than one-and-a-half million visitors, by 2007 the mall had downsized to house just 80 retail units – with analysts blaming the economic downturn and an oversaturated retail market. Other issues that led to the mall’s eventual closure were it’s isolated location and an impractical, one floor ‘racetrack’ layout which meant that the once thriving retail environment became little more than an indoor exercise route for senior citizens. 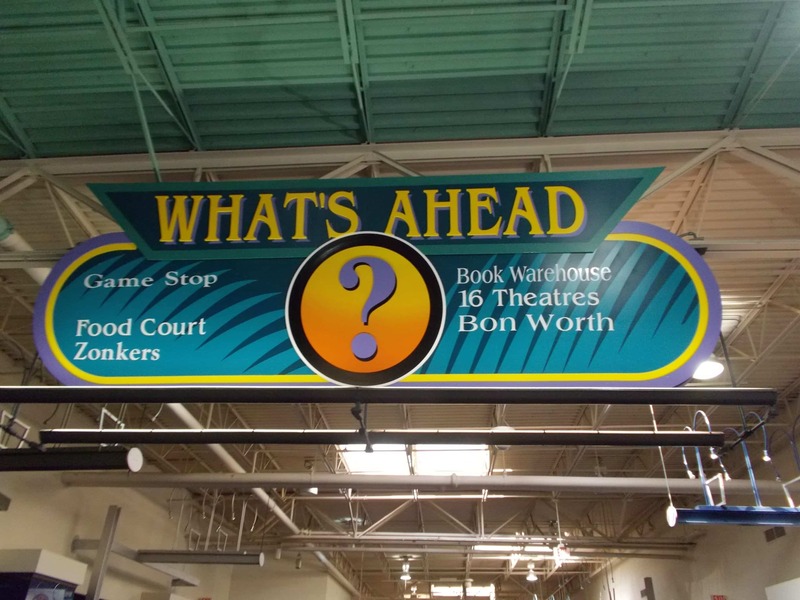 In February, 2015, The Great Mall of the Great Plains announced it would be closing down but as of 2016 there are still 10 tenants, including a bank, bar and grill – meaning that the barely alive, turquoise-clad relic is still open and free to wander accompanied by our appropriately 90’s Ambient Muzak mix. You can view the entire photo album at Imgur.